Cold, Cold Prison Walls. – That Girl Dorian. I touch the cold walls, to know how it feels to be cold for the last time. I hold my dish of the stale meal and stare at it for a while. Because by tomorrow, this dish would be here and I would not. I sit, hold my head in both hands and sigh. There’s no use for tears now. I killed him. It was premeditated. It was planned. I have no excuse. There was nothing the lawyer could say. It was a bad case. I drove the knife straight into his chest and left it there. He did scream. I just moved back a bit, leaned against the wall and watched him die. I did nothing more. But nobody would ever know. Nobody would know his side of the story, which I didn’t bother to tell in the dock. Nobody would have believed me. It is all useless now. Nobody would ever know that he constantly made my life a hell in these past 5 years, and that the loving and doting man they knew was Hitler,Stalin and the Devil in one. They didn’t have to know I’d lost 4 pregnancies at his hands. They need not know why my body is covered in scars and eternal bruises. No, they needn’t. I stand again and look at the tiny ray of light through the small window. This is the last time I’d behold the sun. It is my last day as a living being. I am not scared of how the rope will sniff my life out. I am not. I know I should pray but I can’t even find the words. I have thrown my life away before it even started. I sit down again and lean back against the wall. 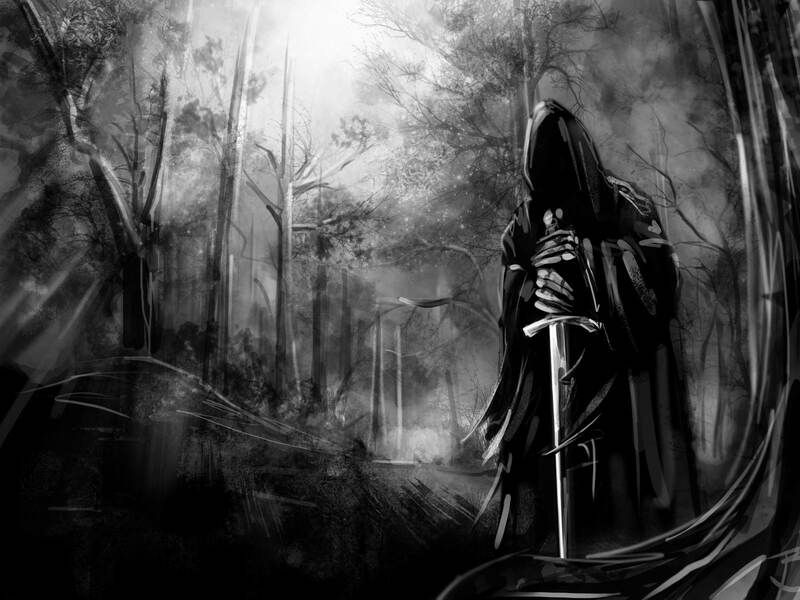 The Grim Reaper is at my door. Previous Loiusa Clark; The Fictional Girl I Want To Meet. Next 12 Songs I’m Currently Obsessed With. Wow. This is a really little sad beautiful piece. Violence at home, this shows, cannot usually be conquered with greater violence like they say. Two wrongs really do not make a right. Gee! This really gets me, down deep inside. A skillfully told and riveting tale. 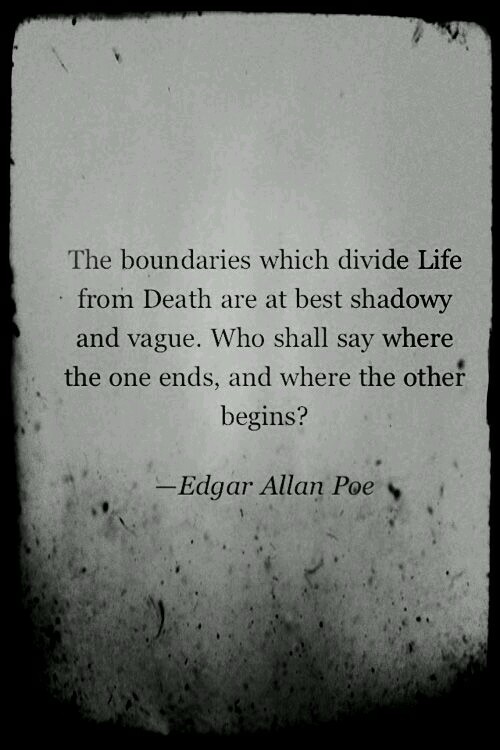 Plus I love the touch of Edgar Allan Poe’s work. It makes it more chilling, more thrilling, more terrifying, yet 100 per cent endearing. Now I know a girl who writes the fiction so well, she is going to end up on the ‘literature’ shelves along with Poe if she plays her cards right, and here’s one reader who hopes she does. We’re all counting on you, Super! You’re on the right track, Dory, but you can still beat this, just like THE X says… You can do better. Quite a lofty dreams, I’d say. What you wrote is just like a movie on blog. I watched a movie recently that got same plot as your write-up. Did you draw your inspiration from the movie? No. I drew inspiration from a poem I was studying. Not yet, dear. Thanks for reading. This is a crime scene come to life. Love this part “this is the last time i’d behold the sun”, true last words of a courageous heart, buh the really sad part is that no one gets to hear the other part of the story. So it all ends really cold. So scarred by life that she refused to live. Amazing piece as usual. Oh, Dhebbie! I hope you’re not trying to get me into trouble😢😭…You make me want to make time to read fiction! You know I hardly have time for anything else, let alone fiction!😬 Anyway, I’m looking forward to the day – and I hope that day comes pretty soon – when you shall invite me to the launching of your first work. Face your med textbooks ahbeg. I don’t want to be sued for luring your attention away. LoL.